Former Mayor Street switches to independent, maybe to challenge Nutter? Former Mayor John F. Street for mayor? Can it be? Street on Monday switched his registration from Democrat to independent, opening up an avenue to challenge Mayor Nutter in November and sending another jolt through what was supposed to be a sleeper of an election. Street was cagey on Monday about his intentions, but he clearly opposed the thought of Nutter getting a free pass in the general election. That's assuming Nutter cruises past Street's older brother, T. Milton Street Sr., in the Democratic primary next month. 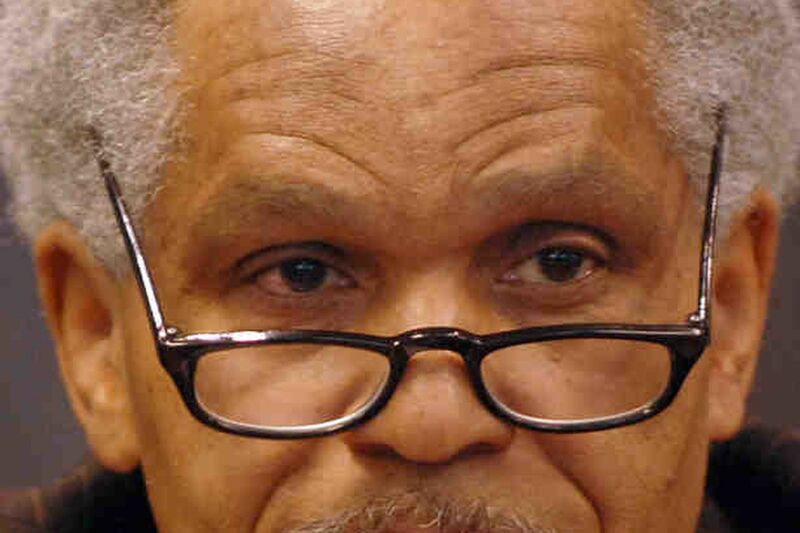 Milton Street, the longshot ex-state senator and ex-convict, shocked the political establishment last week with endorsements from the city's largest municipal union, AFSCME District Council 33, as well as the Philadelphia Fire Fighters Union. "My switch is simply a means of keeping a variety of options available as a matter of good politics," John Street wrote Monday in an e-mail, his favored mode of communication, after registering as nonpartisan at the Board of Elections office at Delaware Avenue and Spring Garden Street. "I have no particular plan at the moment, but one never knows," said Street. "Also, I was asked to do this by some friends I respect who care a lot about the city and believe the city needs more, not fewer, possibilities. My lack of interest in serving as mayor [again] or any public office is well documented. However . . . "
Monday was the deadline for voters to register for the May 17 primary. It was also the deadline for anyone wanting to run as an independent in the general election to be registered as an independent. Any candidate running as an independent in the general election in November would have to gather 1,845 valid signatures by Aug. 1. Nutter's campaign spokeswoman, Sheila Simmons, said of the news: "One of the great things about America is it's a free country, where people can change their registration if they want." One observer questioned John Street's grasp of reality. "The hubris is just astounding to me. His complete lack of awareness of how the world perceives him is amazing," said Carl Singley, an attorney and former Street ally who has split from the former mayor. "He could do the city and region a big favor by sitting down, shutting up, and going away." But Sam Katz, the former Republican mayoral candidate who flirted with a Democratic run for mayor in 2011 with Street's support, said John Street knows exactly what he's doing. "I think Mayor Street has a clear understanding of his popularity," said Katz, pointing out that Nutter was elected on a campaign of not being John Street. "He had to stand on his record for reelection, and he probably thinks that without regard to who the person or candidate is, that's good for a democracy." While Milton Street is still regarded as a longshot to beat Nutter, businessman and multimillionaire Tom Knox also switched his registration to independent. Knox, who considered his own run for mayor this year as a Democrat or independent, has endorsed Nutter and said Monday he would not run against him. But switching to independent would allow him to take on Milton Street in case Street were to win. "I don't think they're that good, but three unions have come out and endorsed him, and in a low-turnout election, if all their members vote, he could win," said Knox, adding that Milton Street came in with 12 percent of the vote in polling Knox did this year of a race among Knox, Nutter, and Milton Street. "It's a good sign for me for Tom Knox to even speculate that I could win. He has some information that says I can win - trust me," Milton Street said in an interview. As for his brother, who almost certainly would not run against him if he won, Milton Street said: "John's always got a plan for something, and I'm sure it will be a good plan, whatever it is."